Working in health care can be an incredibly emotional job at times, particularly when some of the clients are children. 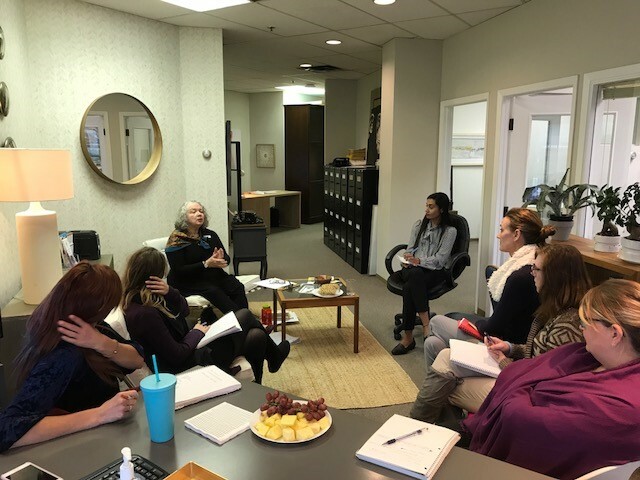 Classic LifeCare’s Calgary team took some time last week to learn about grief and how to cope with loss. 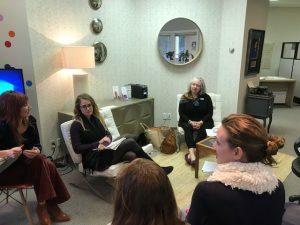 Kathy Bach Paterson, RN – Counsellor, Community Hospice Services, brought advice, insight and resources to the office staff to help them understand grief and enable them to help employees in the field do the same. Britney Didier-Shaw, Classic LifeCare’s Alberta Leader, says she asked Kathy to the office because of the range of clients and scenarios Classic employees interact with and the emotional toll of the job. · Grief can cause disorganization and sadness, it is important to be able to identify when you need to take a break, walk, talk to someone, cry. · Participating in a group discussion can help boost your mood by giving you a venue to express feelings that may otherwise get bottled up. Explore ways of remembering clients while supporting each other. · Set your intent before approaching a client/family, it’s best to acknowledge their suffering. It’s your presence that’s most important, not what you say. Kathy suggests a few rituals to process grief, including a memory lamp or lit candle on the day we are experiencing loss, or a memory book with obituary, notes of remembrance or pictures. “She suggests we take time to feel and make sense of the loss,” says Britney.